UKIP Could Find THE GALVIN REPORT Embarrassing! But It Only Covers to 2004! 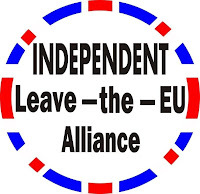 this may expose rather a lot of UKIP MEPs such as Derek Clark MEP, Nigel Farage MEP, Graham Booth MEP, Jeffrey Titford MEP, Tom Wise MEP – all of whom have fallen foul of EU enquiries and we are given to understand have been ordered to repay money. The Galvin Report will not identify the criminal behaviour as under investigation of David Bannerman MEP or Stuart Agnew MEP as that was subsequent to the 2004 data of The Report. I note yet again Nikki Sinclaire MEP is quoted as one of the MEPs who is seen as a campaigner for greater transparency and accountability and in this instance in view of UKIP’s unarguable track record of corruption, fraud and self enrichment her name is befouled by linking with UKIP, though it may well help UKIP to be linked to someone seen as honest. A meeting of senior MEPs is expected to accept a European Court of Justice ruling that there is an “overriding public interest in disclosure”. The decision could have far-reaching consequences for transparency within the European Parliament and wider European Union institutions. It will increase pressure on the parliament to publish more details of the expenses claims of MEPs including their travel expenditure, attendance records and the highly controversial €4,300 (£3,800) “go anywhere” budget given to members. “Bit by bit the parliament is being brought kicking and screaming towards transparency,” said Chris Davies MEP, who first leaked the contents of the report compiled by the parliament’s chief internal auditor, Robert Galvin, in 2008. “I was delighted by the European Court’s decision. Last night Mr Toland said: “I would very much welcome this development. When they refused me access to the report, the European Parliament effectively said that the taxpayers of Europe, who fund the parliament, cannot be trusted to know how their money is being spent by that parliament, nor are they entitled to know what recommendations exist for how the system should be reformed. “The plan is to release the report and not question the wider element of the European Court’s decision either,” said the source. * A series of bonuses awarded MEPs’ assistants between three and 19.5 times their normal salary. * A payment was made to a crèche, supposedly for secretarial work, whose manager was a local politician from the MEP’s party. This entry was posted on 22/06/2011 at 07:50	and is filed under GALVIN REPORT, Nikki SINCLAIRE MEP, The Independent. You can follow any responses to this entry through the RSS 2.0 feed. You can leave a response, or trackback from your own site.